The International Association for Continuing Education and Training has given DynCorp International subsidiary Phoenix Consulting a re-accreditation status which will allow the company to offer IACET Continuing Education Units for five years. DynCorp said Thursday that Phoenix Consulting will now join over 500 organizations around the world authorized to use the IACET name and accredited provider logo on promotional course material. The application process for re-accreditation required the company to undergo an IACET site review and adhere to industry standards for program design, development, administration and evaluation. 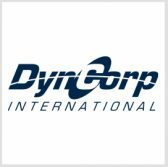 Randy Bockenstedt, senior vice president of DynCorp’s logistics business, said that Phoenix Consulting helps more than 300 military, law enforcement and private industry personnel gain crucial interpersonal communication skills every year. “Our renewed accreditation with IACET is a demonstration of our continuing commitment to quality adult education and high standards for all of our programs. We are very pleased to maintain our relationship with such a prestigious organization as well as an elite group of organizations that offer excellent continuing education and training programs,” he said. IACET is a non-profit association and the only organization authorized by the American National Standards Institute to set standards for continuing education and training. The ANSI/IACET Standard is recognized by thousands of educational programs around the world.